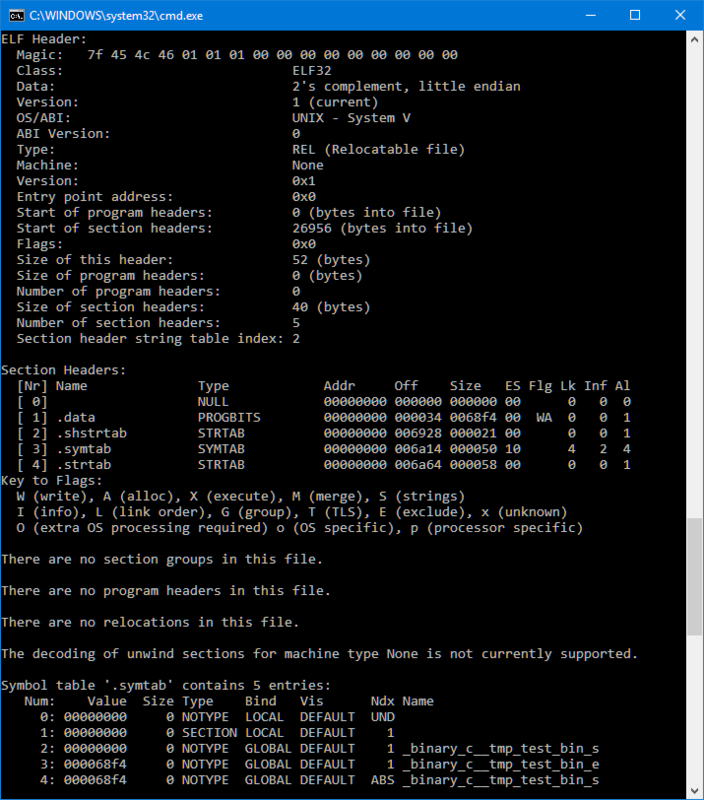 Now I can use that file like any normal ELF/Dwarf file (of course it does not have debug information in it), e.g. see Using Eclipse to Program Binary Files to an Embedded Target. This entry was posted in ARM, Building, CPU's, Debugging, Embedded, gcc, Tips & Tricks, Tutorial and tagged arm gcc, binary, Building, Debugging, Eclipse, Flashing, gnu gcc, objcopy, P&E, readelf, technology, Tips&Tricks by Erich Styger. Bookmark the permalink. Erich, this is a really good help, thank you. I was wondering if it was really possible to load bin file for P&E like the other post. It used to work but it does not anymore? Yes, I believe it worked, but I’m not sure any more. I see that with the latest version it just does not load anything, so the binary running on that target is not changed. I might have been fooled by that and did not realize that it did not load the binary file? I’m really not sure anymore. This is very helpful! However, I am wondering if there is a way to stitch together several binaries which represent different sections of memory into a single elf file and still have it work with GDB? I don’t think this will be easily possible, at least if you are talking about stitching together multiple ELF files. It would be possible to combine the raw binary (code and constant data) with the approach listed here (combine the binaries first, then wrap it in a .elf file). The problem will be with the debug information which is more of a linker part. For example it would need to check about duplicated symbols, combine the DWARF information, etc. And that DWARF information is what you need for ‘debugging’, otherwise the debugger has no symbols.